At DPC Veterinary Hospital we are honored to be considered a favorite Florida veterinary clinic in the Pembroke Pines area. We are located in nearby Davie and our reputation for providing affordable, convenient, friendly and totally professional care attracts pet owners from all around the Pembroke Pines/Fort Lauderdale area. 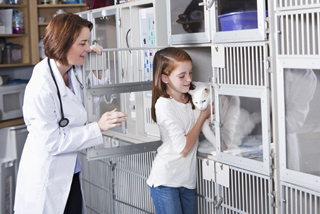 Our overall objective is to provide basic and advanced veterinary care to all pets in our service area. In order to accomplish that we have focused on providing pet owners with an easy and affordable way to take care of their four legged friends both with regularly scheduled health care like exams and vaccinations and to provide quick diagnosis and treatment when a pet is ill or injured. The one thing that most of us don't have enough of is time and we understand that pet care (unless it's an emergency) often has a lower priority on your time than other issues in your life. 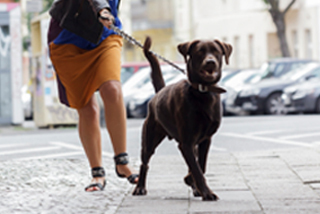 To make it more convenient for pet owners, we are open seven days a week including most holidays. Our hours start early and end late and all of our services, including surgery are available during our office hours. The cost of pet health care is always a concern particularly for preventive service like routine exams and vaccinations. 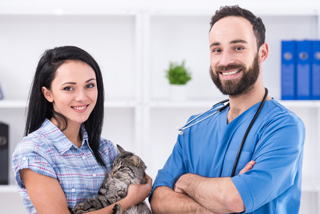 In order to encourage basic health care we have developed several "packages" for both cats and dogs that include basic services (including spaying and neutering) and offer them at a discounted price. There are affordable packages for puppies/kittens, adult pets and senior wellness plans. Of course the number one reason for our popularity is our incredible staff of veterinarians and technicians. 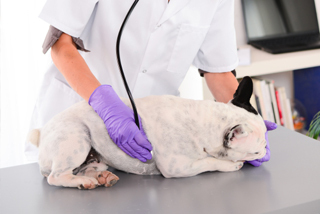 You and your pet will not meet a more caring and concerned group when it comes to pet health. Our vets are some of the finest practicing in Florida and out technicians (all pet owners) will treat your pet like it was their own. Now is the time to find out why DPC is a Pembroke Pines favorite. Call us today to set an appointment for you and your pet.